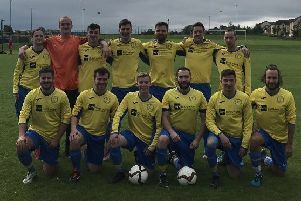 East Kilbride were crowned Lowland League champions on Tuesday after a 2-1 victory over defending champions Spartans. After a goalless first half at K-Park, skipper Craig Malcolm gave Kilby the lead with a neat finish just before the hour mark. Spartans looked set to spoil their hosts’ party when Stephen MacDonald drilled home on 68 minutes. However, East Kilbride weren’t to be denied as Sean Winter fired home the winning goal with 12 minutes remaining. 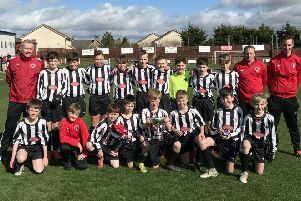 Kilby will now face the winners of the Highland League – Cove, Brora and Fraserburgh are involved in a three-way battle for the title – in a two-legged play-off to determine who takes on the bottom club in League Two, again over two legs, for the right to play SPFL football next term. Albion Rovers and Berwick Rangers are the teams trying to avoid that bottom spot. Tuesday’s result leaves Spartans on 43 points and in fifth place in the Lowland League table.